Martell Caractère is Straight up Homegrown. If you make anything for over three centuries, chances are you are pretty damn good at it. House Martell is the eldest of the major Cognac houses. Founded in 1715 by Jean Martell along the banks of the Chantere, at the pinnacle of the French “L’Art de Vivre.” The French basically have this way of living, where they believe in embracing all of the good stuff life has to offer. Martell Cognac is definitely the good stuff, with a full range of expressions for us to indulge in. La vie est belle, d’accord? Cheers to House Martell. 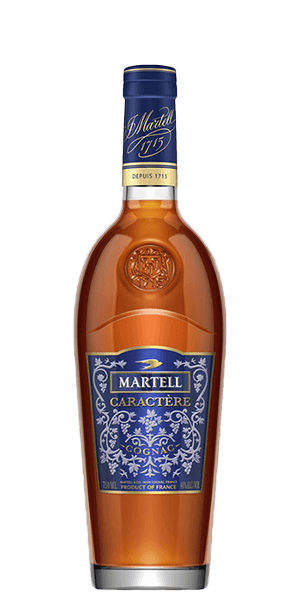 What does Martell Caractere Cognac taste like? The Flavor Spiral™ shows the most common flavors that you'll taste in Martell Caractere Cognac and gives you a chance to have a taste of it before actually tasting it.